This bathroom underwent some significant changes to provide more space and improve traffic flow, all while remaining consistent with the home's vintage roots. 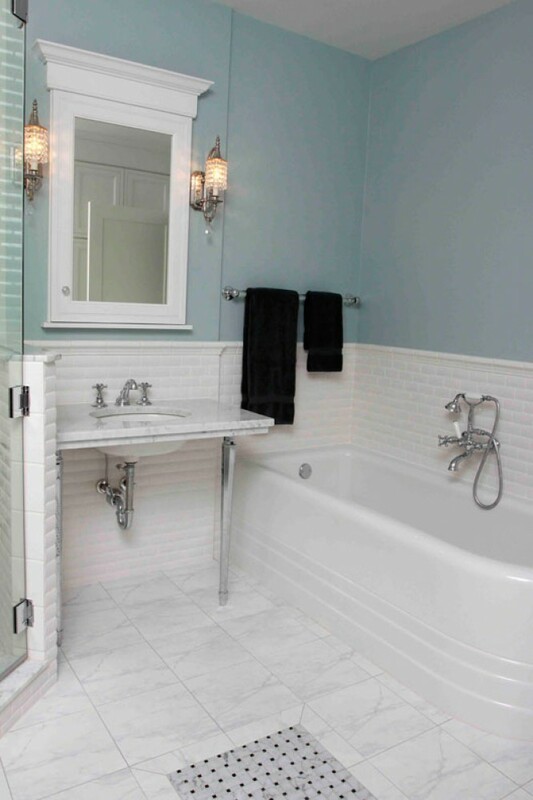 Some of the more notable details include the subway tiles on the walls, the mosiac tile insert on the floor, and the vintage tub. A few elegant wall sconces and a small crystal chandellier dress up the space with just a bit of sparkle.